Today I'm introducing to you a software that allows you to play and pause music and movies using hand gesture. 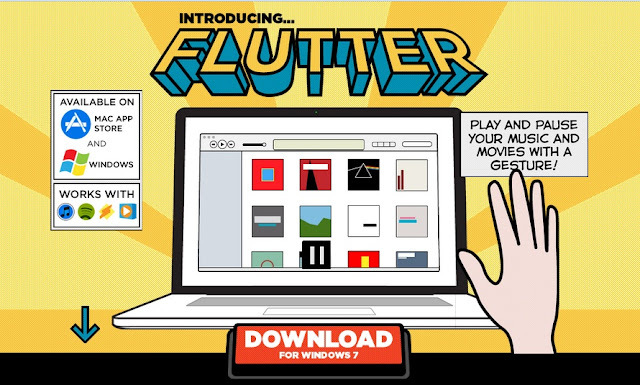 The program is called FLUTTER just click the highlighted text to be redirected to their official website. The Cool thing about this is that it is for free no ads popping up in your screen. It is compatible with Windows Media Player, Winamp and iTunes. Flutter uses your webcam to detect your hand gesture, in their official website they explain how flutter see you hand. I hope the next update they add more hand gestures to be available like in the movie IRON MAN. Watch the video below how this wonderful program works.